Bryce Huffman is Michigan Radio’s West Michigan Reporter. Huffman has been serving as a reporter for Michigan Radio since Fall 2016. He has covered a variety of Michigan stories, including immigrants facing deportation, the Detroit-area doctor involved in the female genital mutilation case, and residents concerned about a massive sinkhole in Macomb County. A Detroit native, Huffman graduated from Central Michigan University with a degree in Journalism. 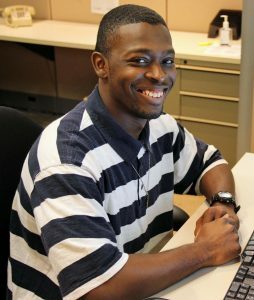 He joined Michigan Radio as a newsroom intern in May 2016. Posted in Featured Former Interns.